How Can a Rainwater Collection System Benefit your Lawn and Garden? 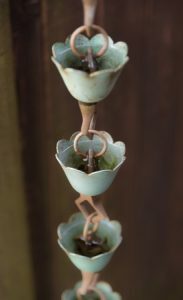 The collection of rain for purposes of irrigation is an ancient practice, encountered across many cultures. The earliest rain water collection systems can be traced back to 3000 BC in modern-day India. Ancient Romans also famously collected rainwater and created reservoirs and underground tanks to store it in. In more recent history, however, rainwater collection has become less prevalent due to the development of modern municipal plumbing systems. But just because this practice isn’t as popular as it once was doesn’t mean you should discount the idea of rainwater collection. Collecting excess rainwater is an effective, easy way to maintain a sustainable landscape, whether it be in your garden or front lawn. The roof of a 1,000-square-foot home sheds an average of 600 gallons of water per inch of hourly rainfall. A rain collection system can catch and store up to 80 percent of this water to be used later on for irrigation. 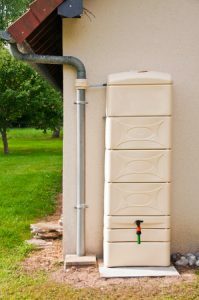 While there are a number of different rainwater collection systems, the basic idea behind all of them is the same—a storage vessel or diverter is placed below the downspouts of your gutter system to catch water before it reaches the ground. 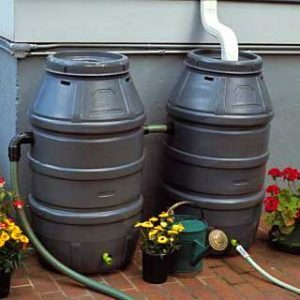 The stored rainwater, which is free from chlorination and other treatments, is ideal for watering your lawn and garden. Implementing a rainwater collection system will reduce the demand on your existing water supply, and minimize the impact of erosion and surface water runoff on your landscape. In modern-day applications, these systems have been especially effective at combating the effects of drought and water pollution on lawns and gardens. Want to learn more about how easy it is to start harvesting rainwater from your gutter system? Contact us online or give us a call at our toll-free number today!